When the Minnesota State High School League (MSHSL) reclassified schools on Thursday for competitive sections, there was some movement of schools geographically. But one of the schools that saw the biggest change not only in their section but also in their class was Minnesota Valley Lutheran. 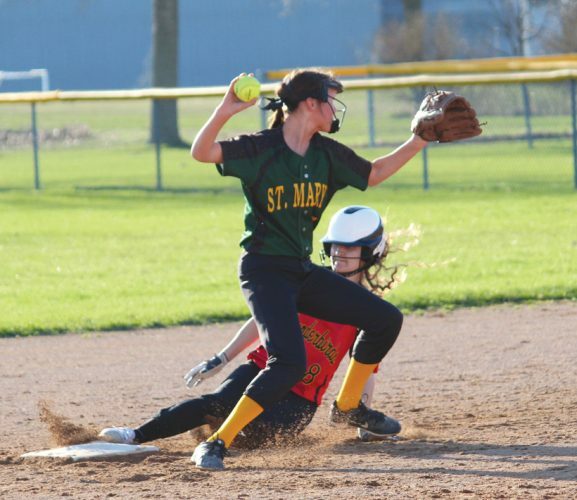 MVL was bumped up from Class A to Class AA because of enrollment in boys’ and girl’ basketball, baseball and boys’ and girls’ tennis (with New Ulm High School). By a total of two students. The change is for the 2019-20 and 2020-21 school years. And perhaps the biggest change for the Chargers comes in boys’ and girls’ basketball where they have been moved from a very competitive Section 2A to a very competitive Section 2AA that now includes Waseca. The Bluejays, who finished second in the Class AAA state tournament this year, were dropped down to Section 2AA for the next two years. “We came out of a tough (2A) section, too, but Waseca is the best team in that section,” MVL Activities Director and head boys’ basketball coach Craig Morgan said. Morgan said that he had already put some AA teams in his nonconference schedule for the future because of the time when they would be moved up. 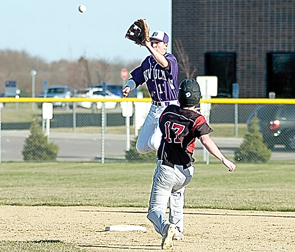 As far as baseball, Morgan said that Section 2A is one of the toughest ones in the state. This current realignment runs for two years. Will MVL possibly drop back to Class A when they realign in two years? “We will be a solid AA school for a while,” he said. Morgan did say that when he knew that MVL was to be moved up to AA, he was happy that they did not get moved west. To view the new competitive sections for all schools, you can go to MSHSL.org, scroll down to competitive sections and click on that link to find your school. HOFFMANN, PETERS BASEBALL UPDATE AT CENTURY COLLEGE: Two former New Ulm High School baseball players, sophomore J.T. Hoffmann and freshman Andrew Peters are hitting .333 and .231, respectively. Hoffmann has scored three runs along with four RBI and three stolen bases. Peters has three RBIs and two runs scored. 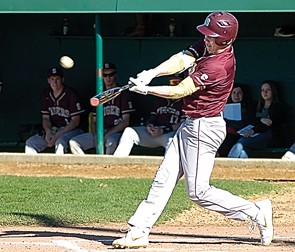 Former New Ulm Cathedral baseball player, Gabe Knowles, a red-shirt sophomore for the University of Minnesota, is hitting .375 for the Gophers. Knowles has a double and three RBIs in 16 at-bats. VFW COACH NEEDED: If interested in coaching VFW baseball in New Ulm this summer, please contact John Giefer at 507-382-9102.